ASCE President Kristina Swallow has been racking up the frequent flyer miles since her presidential year began last October, crisscrossing the country, visiting ASCE groups far and wide, meeting elected officials to advocate for infrastructure, connecting with Younger Members, speaking with students, and on and on. And at every stop, she inspires a new group of engineers – not simply as the ASCE president but as the fourth woman in the Society’s history to serve as president, as the second in a historic run of three straight ASCE female presidents. Women and men, girls and boys, view her as a role model. It’s a responsibility that maybe wasn’t in the job description. But it’s one she carries well and wears proudly. 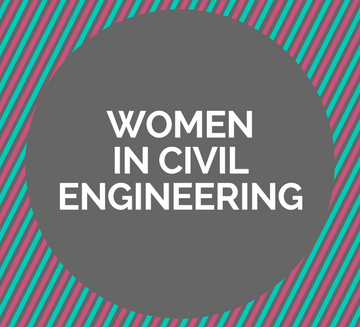 For ASCE News’ Women in Civil Engineering series, Swallow talked with ASCE’s Ben Walpole about the role she plays, plus a variety of issues she’s seen and has experienced regarding women’s place in the profession. ASCE News: Let’s just get right to it. What’s responsible for the gender wage gap, and how do we solve it? Swallow: I think there are a couple of things responsible for it. I think there’s a lack of knowledge and awareness around it among employers and employees alike. And even though the ASCE Salary Survey has shown the disparity, when you get down into the local office does the individual female engineer know she’s making less than her male peer? Does her boss actually know that there’s a difference? I don’t know that there’s a holistic awareness of the issue. So it’s something that we need to highlight. ASCE News: Do you feel like there have been changes – improvements – throughout your career? Swallow: So I’ve been practicing for 23 years, arguably half of a career, right? 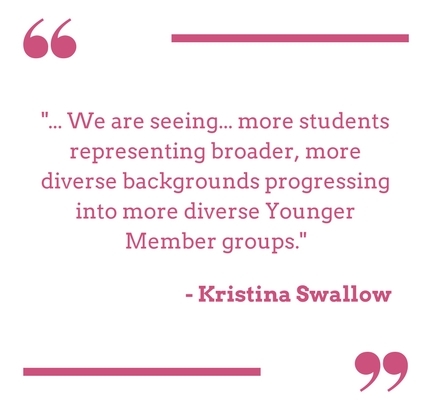 I would say there are changes we are seeing – more students representing broader, more diverse backgrounds progressing into more diverse Younger Member groups. And at some point, that diversity starts to filter up in ASCE and in our profession. Interestingly, there’s always been overrepresentation of women in leadership at the student level, at the Younger Member level, and even at the Section and Branch levels. And we’re starting to see a little more equity in the profession at those lower levels. The challenge is: do we continue to lose the women as they advance into their careers? Again, it’s perception. 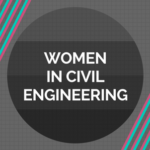 There’s a perception when you have overrepresentation of women in the leadership roles of ASCE or at some companies, you can get this idea that OK, we fixed it. But in reality, there are public and private sector organizations where there aren’t any female engineers, or maybe there’s one woman holding her own. And maybe it’s a fantastic place and she loves working there, but she’s the lone woman in the organization. It’s been interesting touring as president. In general, when I go to my visits, I have very mixed groups. However, at one visit this year, the only other woman in the room was an award recipient who was not an ASCE member. ASCE News: Any job I’ve ever started, I’ve been nervous and wanted to prove myself. But I don’t think it was for any other reason other than ‘I’m new here and I want them to know I can be trusted.’ Nothing to do with gender or whatever. Have you ever felt, going back to when you were just starting in the profession, or even now when you travel as president of ASCE, that awareness like, ‘OK, I’m a woman, I need to prove something; I need to convince them of something’? Or is that just not how you’re wired? Swallow: I don’t know that I’ve ever thought of it as ‘I’m a woman, and I have to…’ I don’t think of it that way. I think the same as you: I have to do my best. I have to make sure that they understand what I’m able to do and recognize my abilities and what I’m able to contribute. I don’t know that I’ve ever thought of having to do more. That said, I was on a women’s panel at the EWRI Congress this past year in Sacramento. All of us were roughly the same age, same point in our careers. What was interesting was, to a person, we all felt that through the early parts of our careers, we’d had that sponsorship, mentorship, and support. And that started to change as we hit this sort of mid-level. That started to change as we advanced through our careers and got to these higher positions. ASCE News: What do you attribute that to? Swallow: Fewer opportunities, fewer openings at that level. More competition. And so the people who at one time were supporting and sponsoring us are now our peers. ASCE News: Do you think that changes if the power mechanism flips? If the owners are women? Swallow: No. 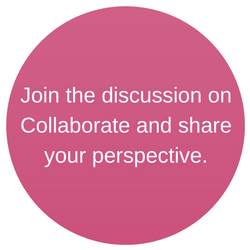 We all – men and women – have unconscious bias. I mean, you’ve seen those studies where the resumes are Jack versus Jill. Same qualifications. Jack gets the job. ASCE News: Is it an engineering thing? Maybe it’s a society thing, so where do you even start? Swallow: It is a society thing. 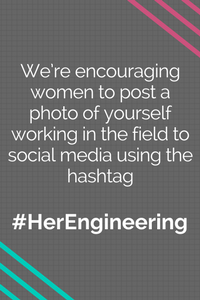 But because we’re underrepresented in engineering, it’s magnified in engineering, if that makes sense. Because of this underlying bias, there’s a need for women to do more, to have their accomplishments recognized and be competitive for promotions. I was talking to a woman, and one of the things she said – and this goes to those biases, how we interact in offices. They do a monthly birthday party for the staff, and she started to notice that at the birthday parties the men would just kind of wait for someone to cut the cake. And the person that cut the cake was always a woman. Just because. There was nothing malicious about it. But, generally, the women throw the parties. The women just do it, because they’re used to doing it. Admittedly, it’s not the biggest deal in the world. But those little things add up, especially in the workplace where the focus should be on the job you do and the skills you bring to the table; not some outdated gender role. We were talking about microaggressions and, you know, death by a thousand papercuts. So instead of getting frustrated by it, she just assigns it and the responsibility rotates. And the guys are happy to do it. They don’t care. There are ways to work around the underlying biases if you recognize it’s happening. 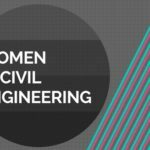 ASCE News: How important do you think it is for women to have mentors who are women? Did you have any mentors who were women when you were coming up? You were kind of following your dad into the profession, right? Swallow: Yes and no. I think my mom at one point said something about me not liking engineering. And I was like, ‘I’m gonna do it.’ [laughs] But having a dad who was an engineer definitely gave me awareness. The mentor one is always a hard one for me, because I don’t know that I ever had that traditional role of a mentor. I didn’t have that traditional person. I definitely had people who I reached out to technically, outside of my current employer. And I don’t know why I had that in me to where I would reach out and say, ‘Hey, you, who work for my competitor, would you teach me how to do this?’ But I did that, and it worked. I think that goes back to the idea that as a young engineer people were willing to help me out. If I asked. I had that ability, or the courage, to ask. So I’d ask, and people would help me. And at some point, that’s changed. There weren’t a lot of women, and not any that I knew very well within the profession. As a result, though, I strove to pull the women I know today together. I set up a quarterly “ladies who lunch” kind of thing. Part of it was so I could see my friends that I didn’t get to see because we’re all so busy. And the other part was, as a function of not having a lot of women in my early career, I wanted to try to change that for the women who are entering the field now. I want to create that network. ASCE News: What has it meant to you to be part of this historic triumvirate of female presidential officers with Norma Jean and Robin? Swallow: It is amazing. I don’t think I ever imagined that we would have three women serving in the presidential offices at the same time. I also think it’s helped to normalize the presence of women in the highest ASCE leadership positions as well as in the engineering profession. And lastly, I’m excited that it may help tell our younger professionals that are moving up the ranks that anything is possible – because, indeed, it is. 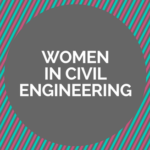 Of the four categories compared for median salary (March 2018 issue of Civil Engineering “Closing the Wage Gap” (P. 4)), women are ahead in two of them–up to 10 years of experience and from 31-40 years experience ahead by (men to women) $78,000 to $78-832 and $132,000 to $135,000 respectively. Not bad! Kristina Swallow has encountered some of the same issues the past 23 years, that I encountered when I started my career almost 50 ago. I never saw the boom in women entering engineering that I saw in some other professions such as veterinary medicine. The good news I heard is that at the Colorado School of Mines, 51% of the new students are women. My goal was to be recognized as an engineer first and a women second. The biggest hurdle to overcome is for young women to realize that they too can be engineers and to recognize that they have the skills and aptitude to be successful. It also helps to have some people who believe in you, so I encourage all engineers to mentor young engineers when they have an opportunity, especially young women engineers.